I now really believe that life is both a process and a journey. It’s funny – I have been listening to great inspiring speakers for many years, reading amazing books and spending much of my life looking at what makes me/us tick and how I/we can live more conscious satisfied lives. I know many of us have been doing the same. My own life has been my main test laboratory and I have also been honored to work with many women who have also taught me much in these areas. Yet this past year has presented me with number of tests that have forced me to look deep and hard at how I am living my life and, because of this personal inquiry, I have something that I want to share with you — my personal new learnings that are transforming my life. I have been writing a lot these days about how we rush around and live our lives without being in touch with who we are, with what we really need and with what we really have to offer in the way of our greatest gifts and talents. I stopped this month to look closely at how I am living, what is working and what is not working and took time to look closely at three key principles that, now that I am using them in my practice, have been changing the entire quality of my life! I am now convinced that when these three qualities below are all lined up together in my day, amazing things happen. Recently, I have been looking at specific ways to create greater ease in my own life and I have been working daily with all three principals and have truly been able to slow down, smell the roses (of summer) and accomplish way more with ease. I am convinced that life can be lived with far greater ease and that it is our responsibility to create the elixir of attributes and qualities that we need to focus on and live within our lives daily. This is true consciousness! I invite you to revisit gratitude and her close friends and supports, particularly now because I believe she holds essential potential that may be very important to your success and how you are currently living your life. I believe that there are a number of key universal principals that need to come alive and off the pages of the books we have been reading in order for the world to become a better place. I also believe that we women need to show up and lead the change that is so needed in our world today! Oh, by the way, we will be looking at this essential and amazing lineup in detail in our July Essential Feminine Living Room. This is a great place to start to deepen your awareness of how you are choosing to live your life and why the outcomes you are receiving may be as they are. Join me in this Wednesday, July 18 at 12 pm PST in The Living Room for The Power Of Gratitude: The Golden Key That Transforms Your Life! Things may never be the same for you after the next Essential Feminine Living Room! You don’t want to miss out on these holiday treats! The Essential Feminine Company has some very exciting events coming up. 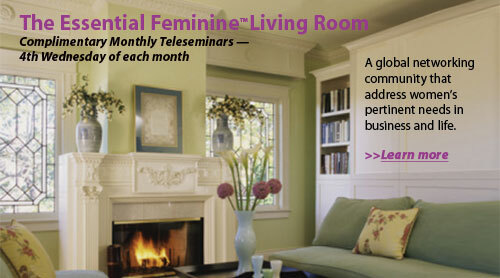 The Essential Feminine Living Room is a complimentary monthly webinar, which takes place on the 4th of each month. It is a perfect opportunity for women who want to look more closely at key issues that affect their day-to-day success, happiness and overall well-being in a highly supportive environment. Join today to experience an hour of a highly supportive and safe environment. Each month, we cover topics that address women’s pertinent needs in business and life. Women from all over the world exchange ideas and support. In the Living Room, mysteries unfold and profound learning occurs. You never know who you will meet and where the journey will take you. The topic of this month’s Living Room is The Power of Gratitude – The Golden Key to Success that Transforms your Life, featuring special guest Patti Hawn. It will take place on November 23 at 12 pm – 1:30 p.m. PST. Register today. My dear friend Patti Hawn, who has joined us here at TEF over the past couple of years, really understands the power of gratitude as she has lived a life of many challenges and been a prime example of someone who has learned how to turn challenges into opportunities. The time in which we live requires us to look for light when there seems to be only darkness. Gratitude is one of the universal spiritual principles that, when practiced daily, transforms our lives and the lives of those we touch. Don’t miss the chance to find more gratitude in your life. Join us in this month’s Living Room. On November 23, Patti Hawn and I will look at the power of gratitude and share specific practices and ways to attract more harmony, peace of mind and happiness into your life. Sign up for November and December’s Living Room Here! This Living Room will be the perfect beginning to your holiday season. “Hopes and Dreams” winners will be announced this week! A course to get you on track, engaged and fully alive this Autumn. 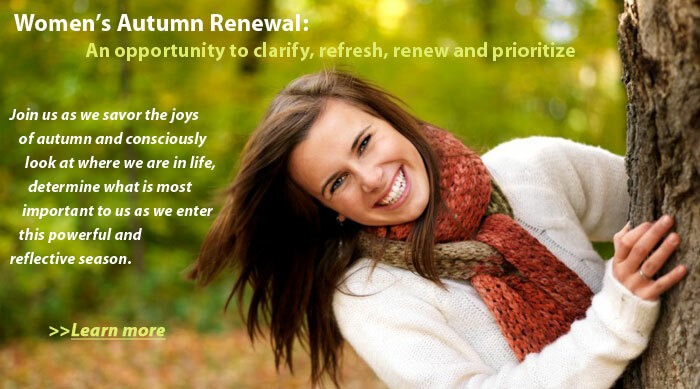 Autumn Renewal is an opportunity to clarify, refresh, renew and reprioritize your life. Now available as a download so you can enjoy in your own time and in your place. Autumn for many marks a new beginning. Activities reignite while the day darkens and shortens. This is a wonderful time of year to regroup. We have just completed packaging this course as a download that you can enjoy in the comfort of your home – car or where ever you wish. Enjoy your own private renewal. The course includes two one-hour recordings designed to help you to consciously look at how you are living your life this autumn. It will provide you with specific guidance and support in designing an autumn of greater choice and awareness. In addition to receiving the two one-hour recordings, you will also receive the Autumn Renewal Replenishment Form – a tool to guide you to see what is working in your life and what needs to change. 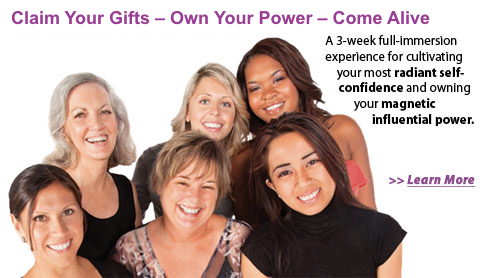 For women who feel stretched day-to-day, need to clarify what is next and most important, and want to create something new…This life-renewing 3-week group experience is an opportunity to work directly with author, speaker, and teacher Maureen Simon—a renowned catalyst for women who are ready for change and transformation. Claiming your higher power and putting it to use in your business. Cost: $69 Sign up here! We have very exciting news. Maureen Simon will be launching her virtual book tour on Nov. 28th with a live radio show! Subscribe to The Essential Feminine Newsletter to stay connected! Visit The Essential Feminine Company for resources, consulting, podcast, full event list and much more. On November 23, Patti Hawn and I will look at the power of gratitude and share specific practices and ways to attract more harmony, peace of mind and happiness into your life. We would love for you join us and look forward to seeing you there! Register for this Living Room today. It’s Free!!!! Maureen and Patti’s books are available on Amazon. If you have read them, feel their passion and want to see more women connect with their stories please write an Amazon review and Like their books on Amazon. Thank you!!!! Did you ever wonder how outer success comes about? You may remember last month we focused our blogs and The Essential Feminine Living Room on the topic of Feminine Abundance. 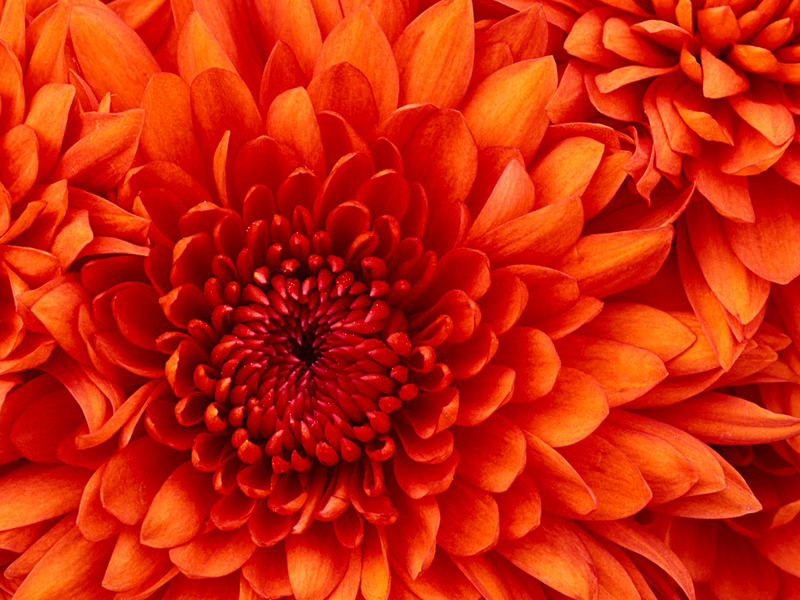 This month we are turning our attention to how our inner life informs and supplies our outer life. When we say inner life, we understand that this can mean different things to different people, cultures, and ways of life. No matter where you are or what you believe there is a universal truth that when we connect to our visions, intentions and deepest desires from a place of quiet, stillness and inner reflection the outcome is more balanced, harmonious and often more successful. Traditions around the globe have valued the art of contemplation for thousands of years. For when we have the ability to connect in, listen from within and lead and live from within riches abound. The idea that quieting the mind leads to a quiet and replenished central nervous system has been proven time and time again from scientific research on meditation to the hundreds and thousands of people now prioritizing a practice of contemplation and stillness in their lives. There is a great interest in stillness and in developing our inner connection because the world has become fast and for many, out of control. The respite of a practice that guides us to connect deep within our self informs our sense of surety when we are making decisions as our level of clarity is greatly increased. This time of year we have clear signs that the year is rising from the enclosing darkness of winter into the light of a great day. It is the time of the vernal equinox, when the sun is midway between winter and summer. We see new growth abounding around us encouraging us to new beginnings. As the earth makes these changes, growing and coming alive, it is a perfect time for us to follow suit. Consider your life. What would you most desire to change in your life? That first step of knowing what you want to change is probably the easiest step to take. Creating a plan to achieve your goal and acting on the plan will take courage. It’s like jumping off a cliff and not knowing where you’ll land. However, not making change, not growing, exacts a price, for change is an inevitable, natural process. When we choose not to grow and change, we are choosing a slow death. 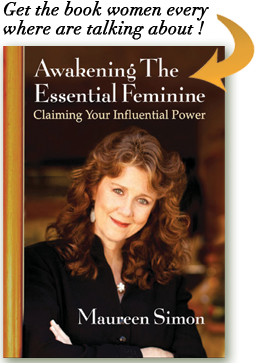 Next week, March 24, 2010, at noon Pacific Time, we are opening The Essential Feminine Company™ “Living Room” for an hour’s conversation on change. Use this opportunity to take guided steps towards living the life you’ve always dreamed of. The Challenge and Opportunity is Yours! P.S. After the initial theme has been presented we will be opening the lines for announcements, wishes, desires, and general networking. Please contact us at info@theessentialfeminine.com if you have something you would like to share during the second half hour. We need at least forty-eight hours prior to each Living Room event for your comment or need to be considered.